Humboldt County is home to magnificent redwood forests, and every year vistors from throughout the world get up close and persona with these towering giants. Redwood twig-covered trails will guide you through ancient redwood groves with tall ferns and other plants native to only Sequoia Semervirens (coastal redwood) forests. The historically beautiful town of Scotia is located near the northern gateway to one of the most scenic drives through the giant redwoods. Take a drive along the 31-mile, world-renown Avenue of the Giants, and see some of the tallest trees in the world. Convenient turnouts allow plenty of opportunity to pull over and take a short walk through the breathtaking forests, where you truly can become one with nature. In northern Humboldt County and stretching into neighboring Del Norte County is the nearly 132,000 acre Redwood National and State Park, literally home to the tallest redwood tree. The 379 foot tall redwood, discovered in 2006 and named Hyperion, is six stories taller than the Statue of Liberty. 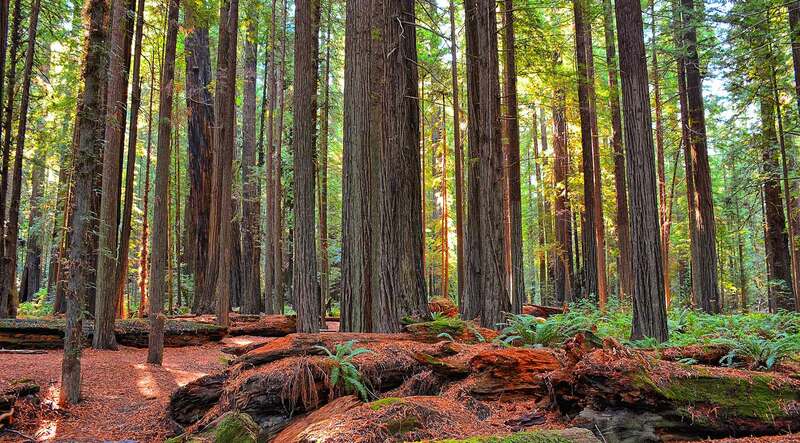 With plenty of camping, hiking, and picnicking opportunities, the redwood forests of Humboldt County are awe-inspiring and a must see experience for visitors and residents alike.